That’s good to hear – you will really enjoy these I’m sure – I’ve recommended them to so many people and so far they’ve soon become a firm favourite. This is a great series, isn’t it, Cleo? And Kim Stone’s character has been evolving nicely. I admit I’ve not gotten to this one yet, but it sounds as though we get some interesting insights into her background, and that alone intrigues me. It is very good the author manages to keep the variety going and now we’ve moved away from the privilege that was the backdrop of the crimes in the last couple of books to the deprived Hollytree Estate. As you say the crimes mean we get a more personal insight into Kim’s early life. Delighted to know that this series maintains its quality throughout. I very much look forward to reading the second in this series later this week. Love what you said here and, of course, this series is on my list. I want to say that I might have read the first one, but I can’t remember right now. I know you have enjoyed the whole series. I’m just about caught up with most of the other series that I had planned to visit early this year and I’m about ready to start some new ones. This author’s books are on my radar for later this spring. Can’t wait! You’ll love it once you get stuck in, I’m sure Kay! Great review! Sounds like a real thriller! Thanks for listing the books in the series. The characters and plot sound so great, and I love when a detective’s personal moments get wound up in the cases somehow. I love that cover! Thanks for sharing. 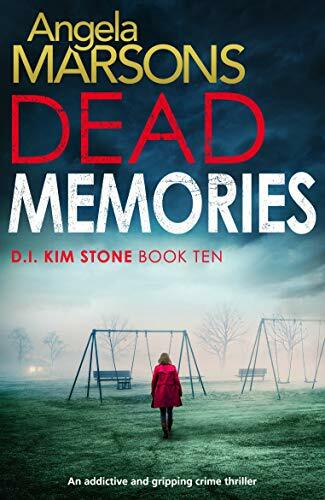 I do like listing the titles when the series gets longer as it can be hard to keep track – I just can’t believe how many brilliant books this author has written in a short space of time! I can’t wait to read this one. The Kim Stone books keep getting better and better. Great review, Cleo! Enjoy and you are absolutely right – this is a gold standard series! I’m just starting this series so I’m happy to see it’s still holding up at #10! They get better and better Jonetta! Sounds great Cleo – setting and character in particular, which always make or break a crime novel for me. Me too – I have to admit I prefer UK crime for the setting and I suppose the culture for this very reason. I arrived so late to the crime fiction party in general, and here’s one more series for me to be behind on! I definitely like to read in series order, so I’ll add the first one to my TBR list! I really do recommend this one – go for it! Love the covers and it looks like one I would enjoy. Wow this is quite the series! I’ve never read any of them (perhaps they’re not available in North America yet?) but they sound really good. And I like long series like this too-lots to follow along with.